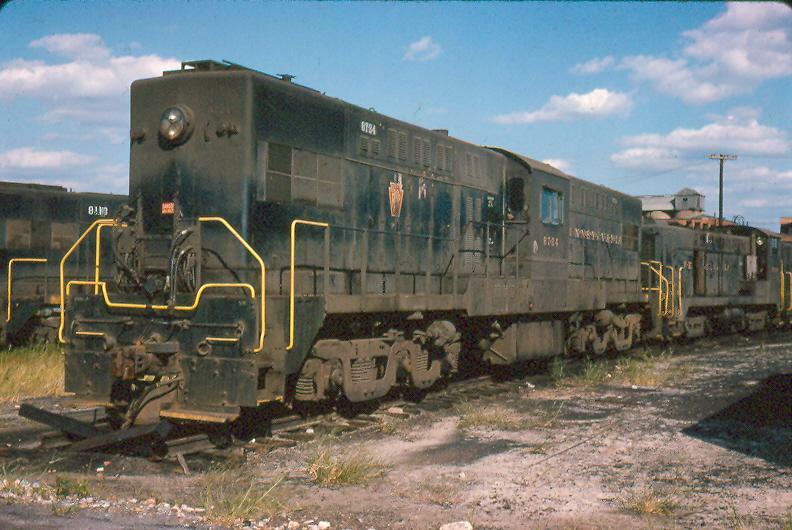 "One of 34 DR4-4-1500 "Sharknose" A units numbered in the 9568A-9593A and 9700A-9707A number series. 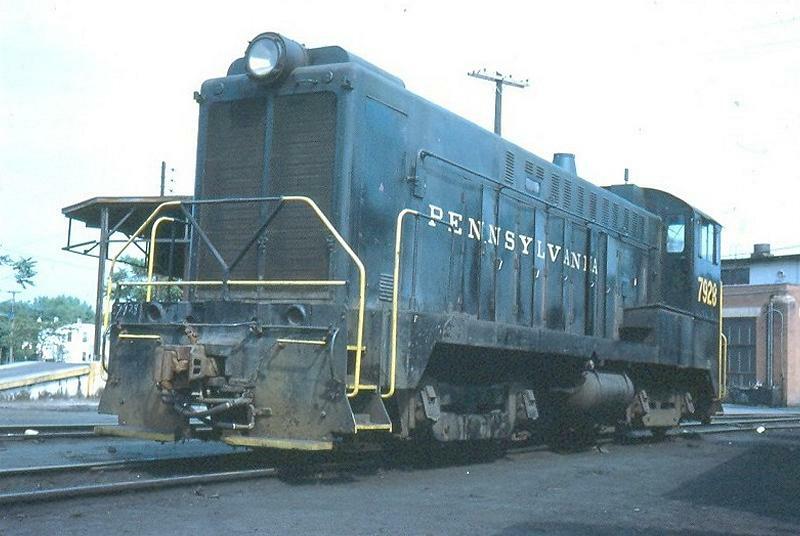 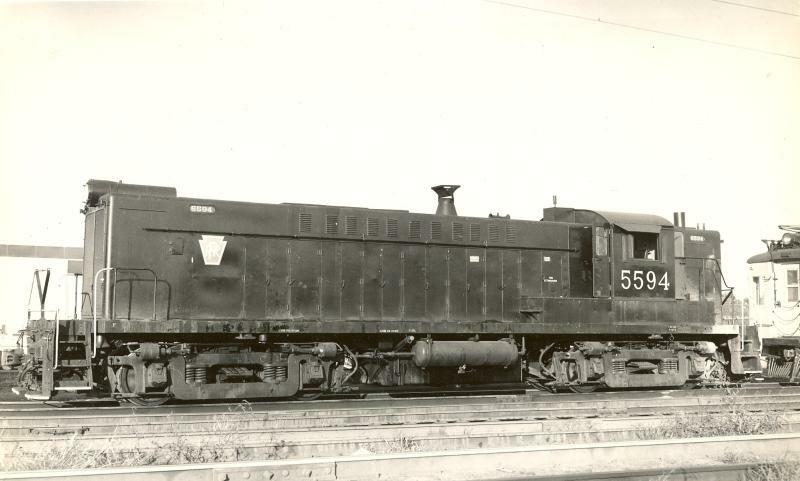 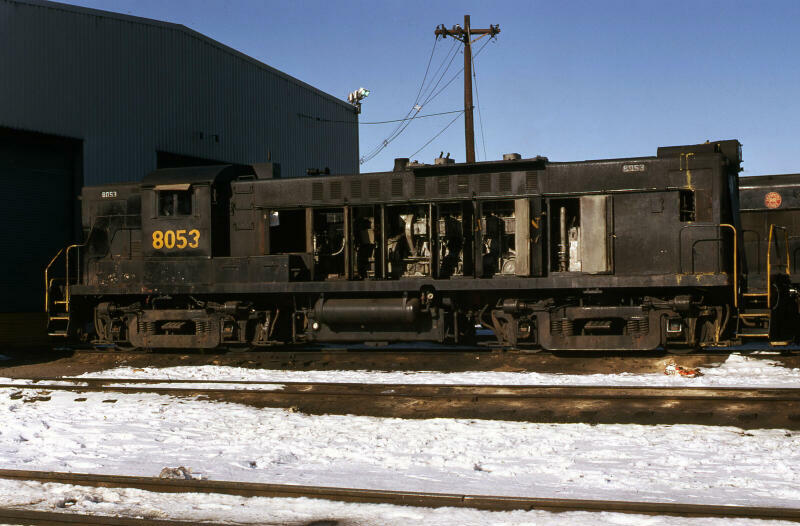 Previous to the PRR order, Baldwin's DR4-4-1500 was delivered in the "baby face" carbody style. 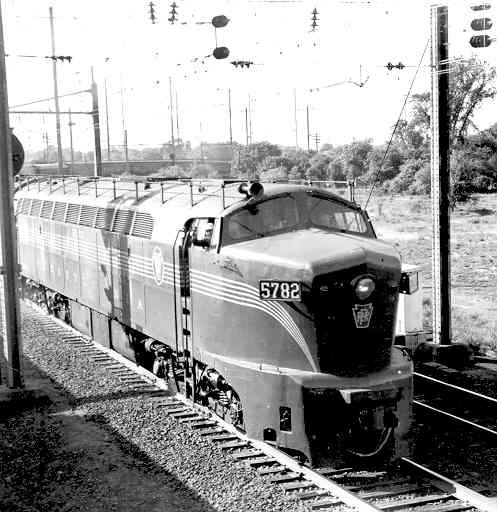 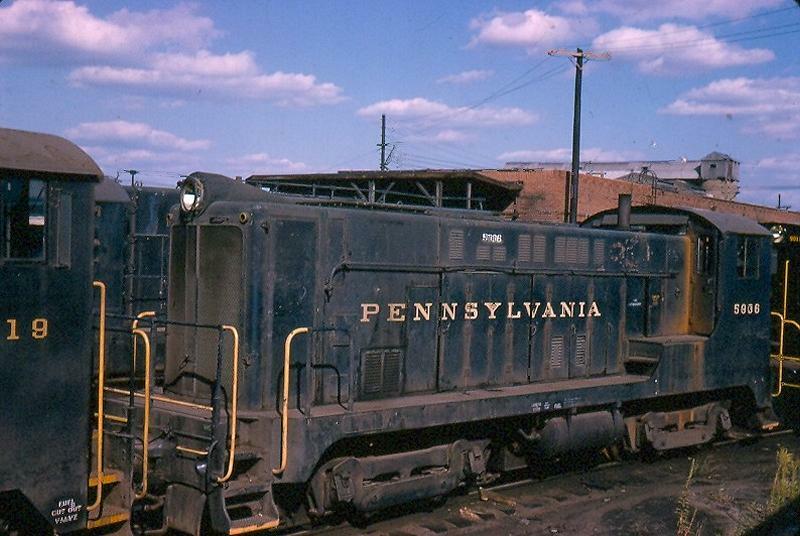 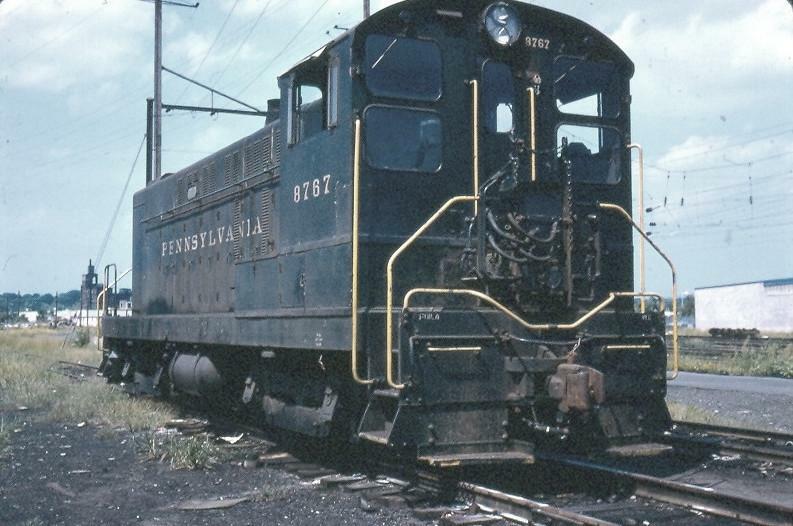 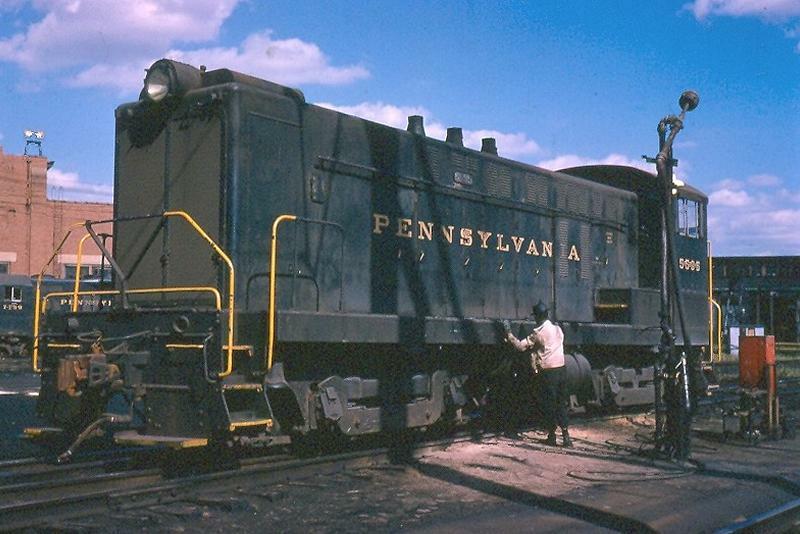 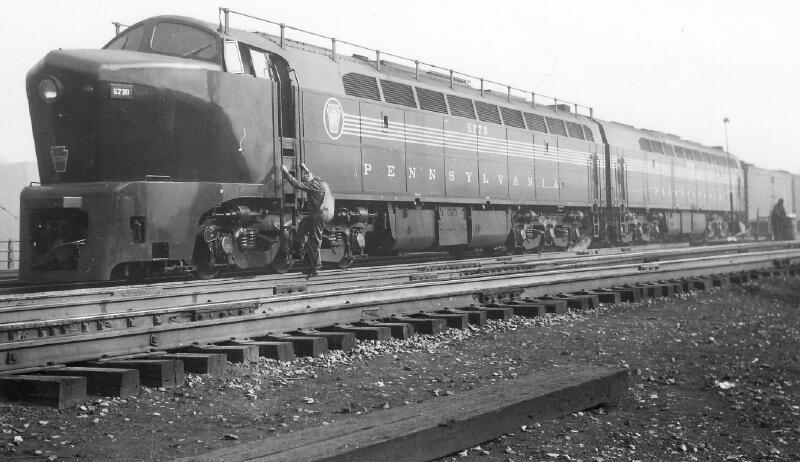 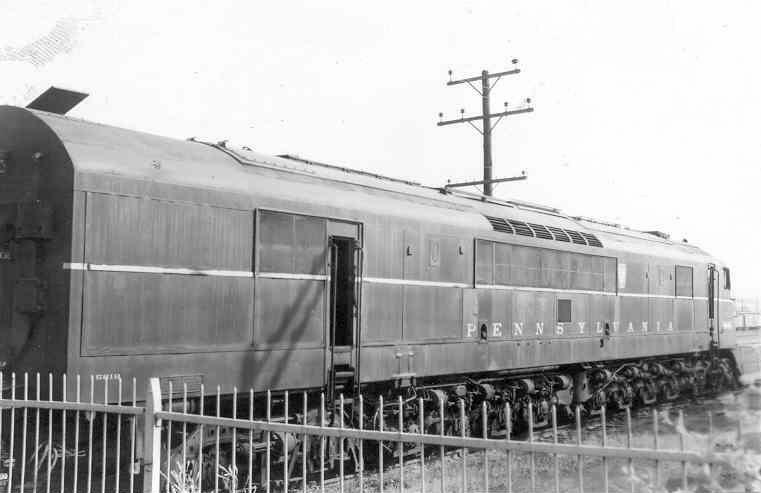 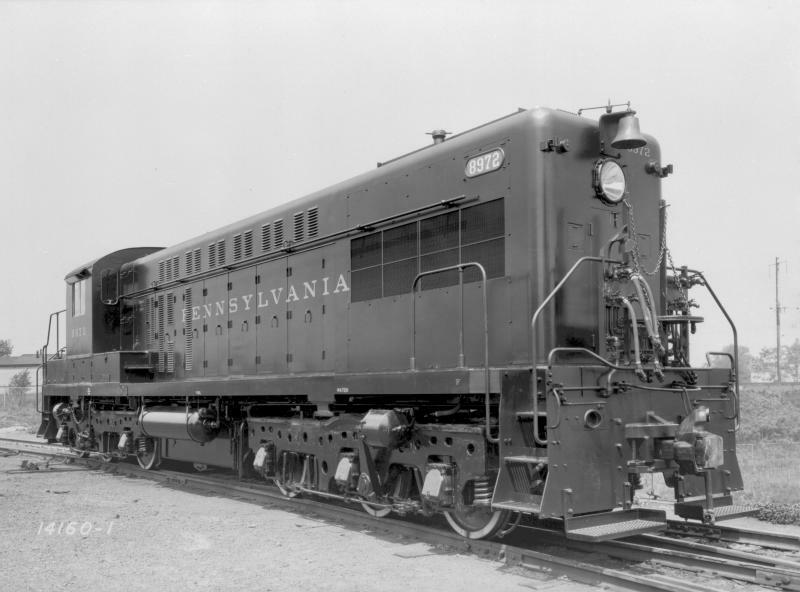 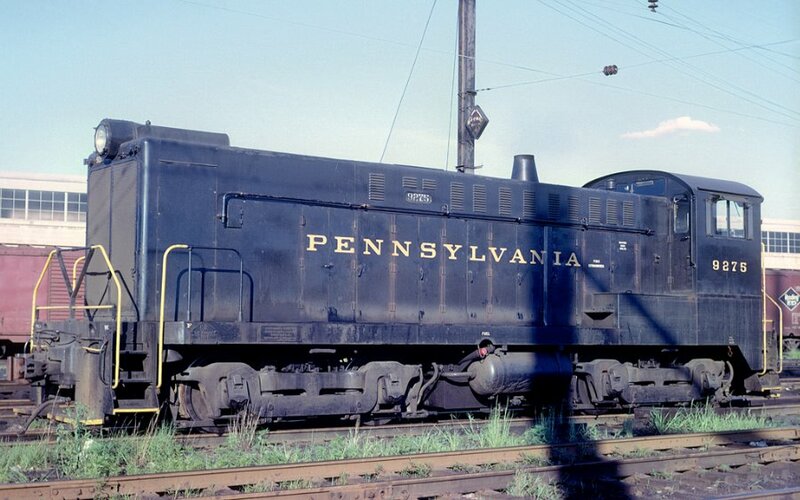 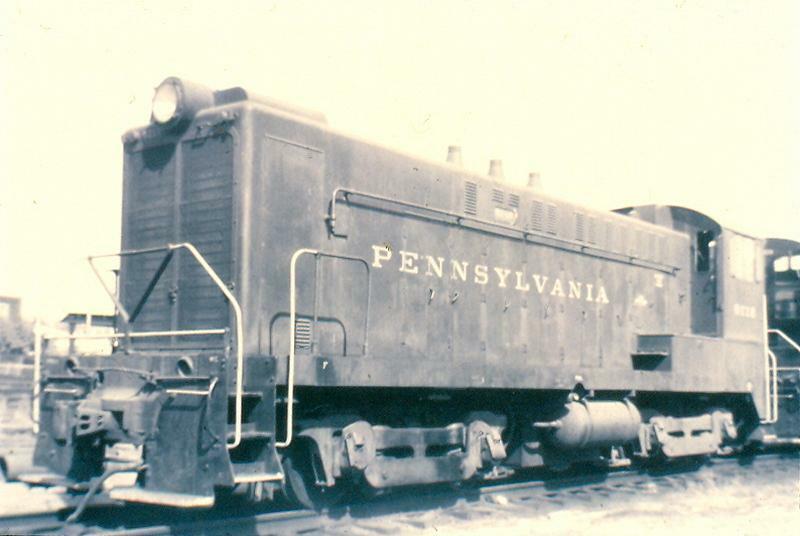 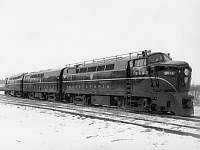 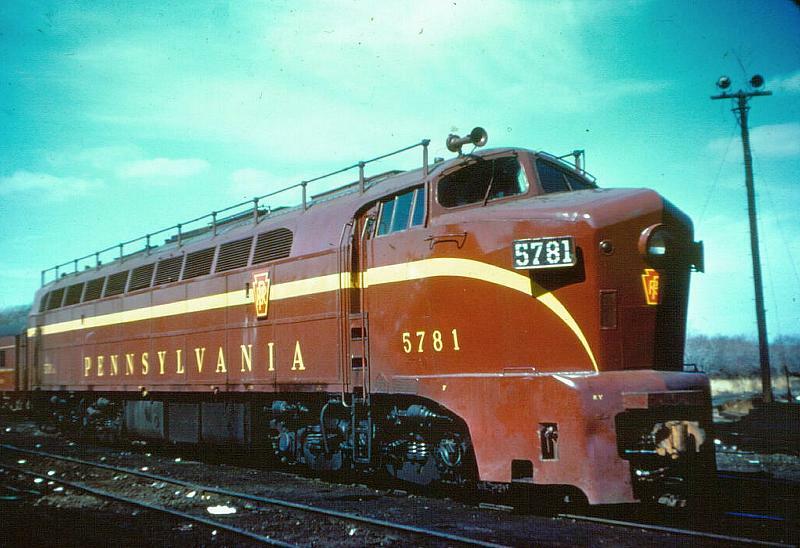 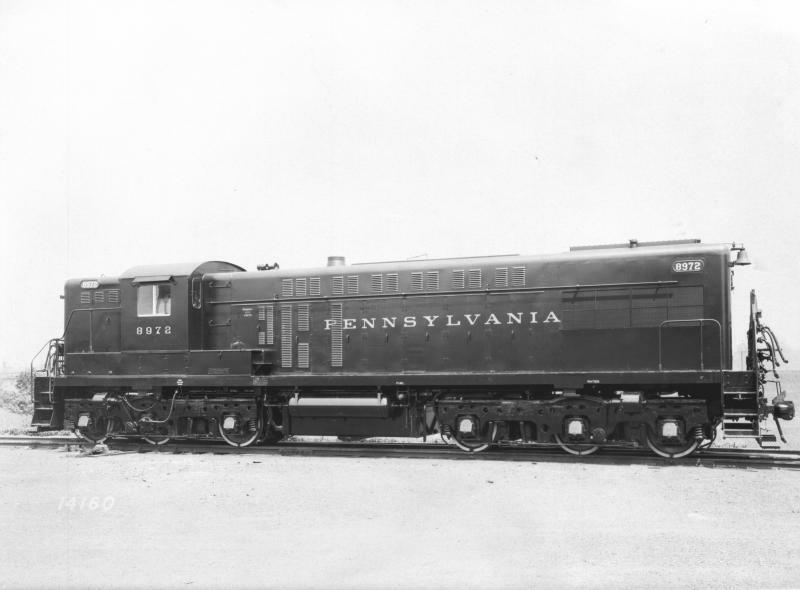 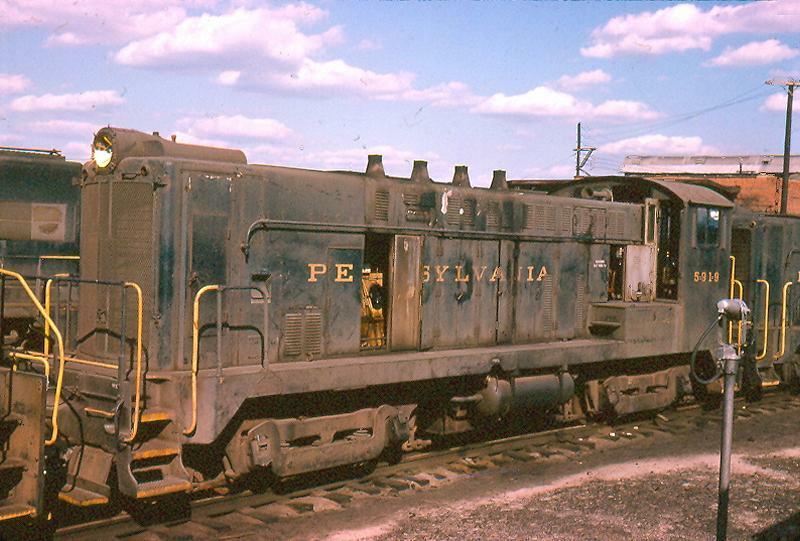 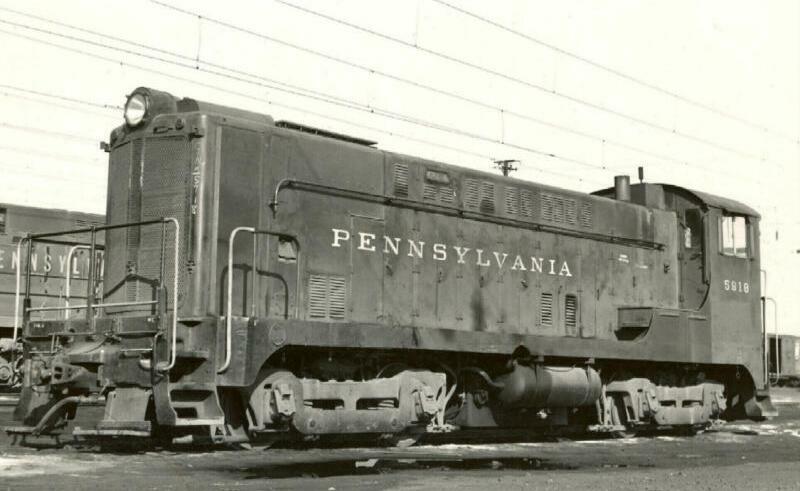 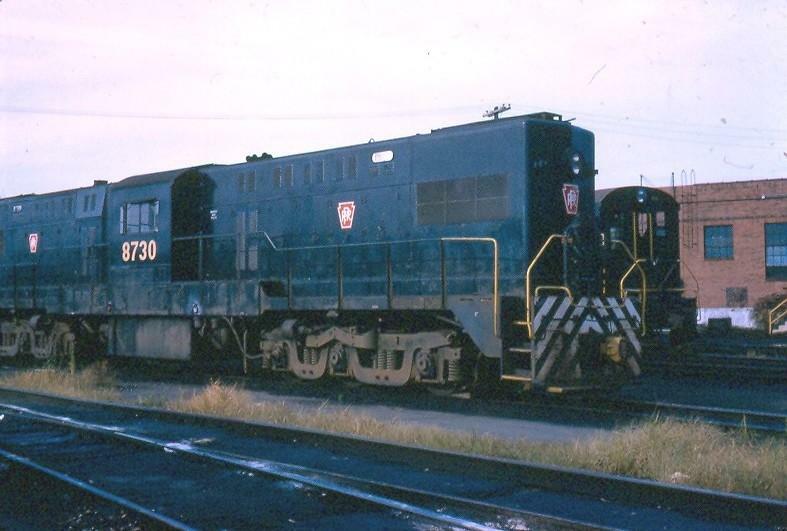 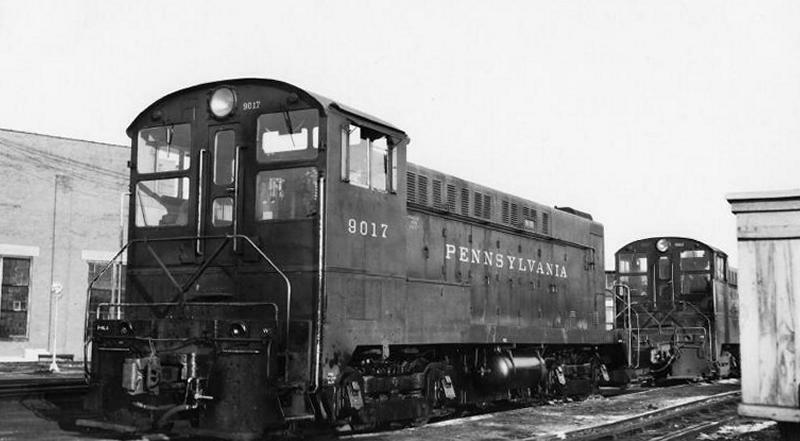 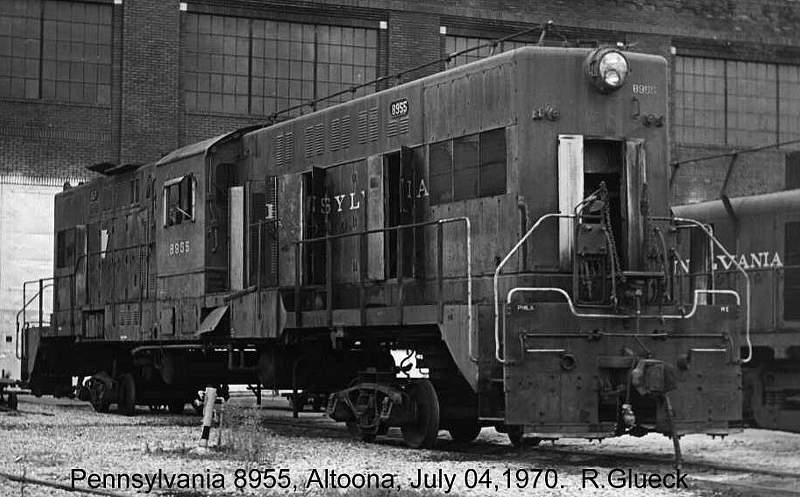 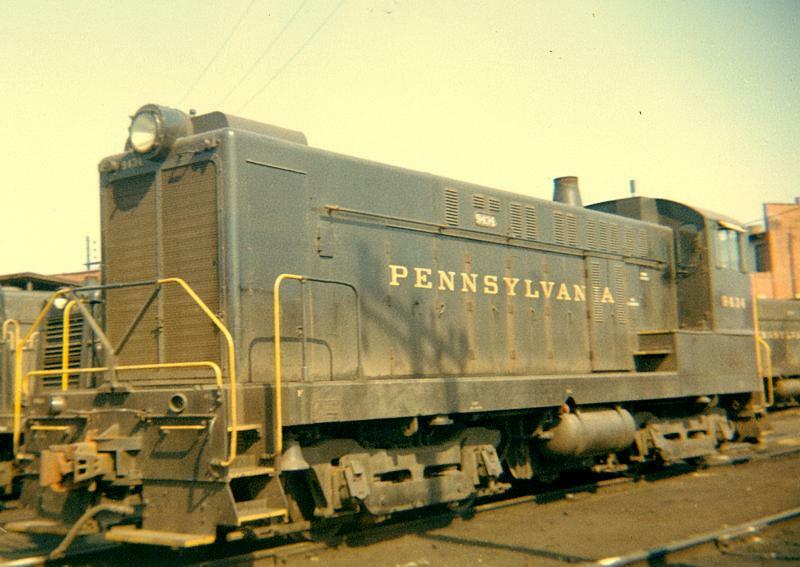 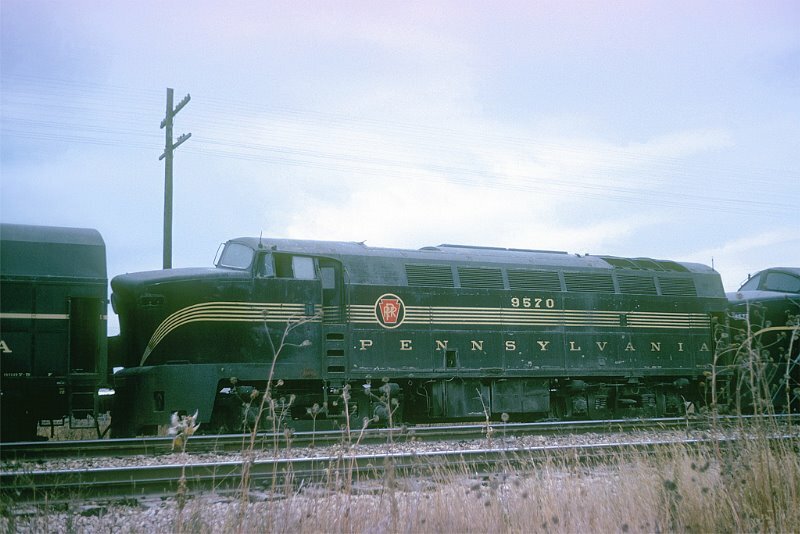 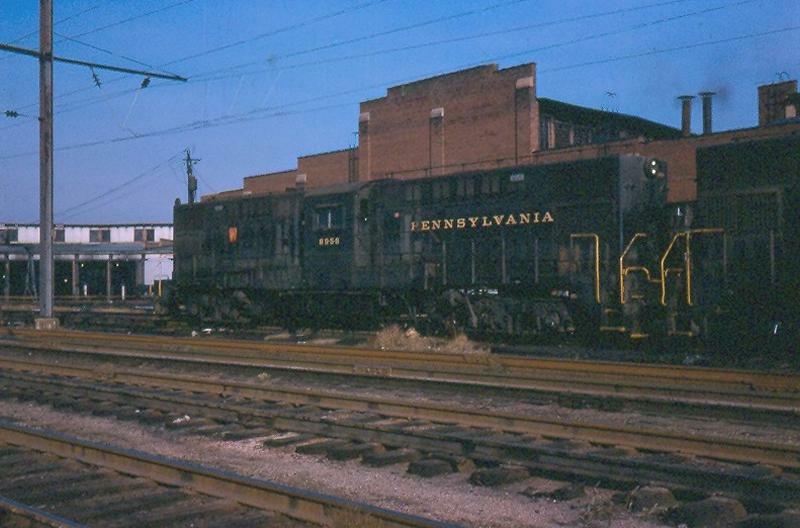 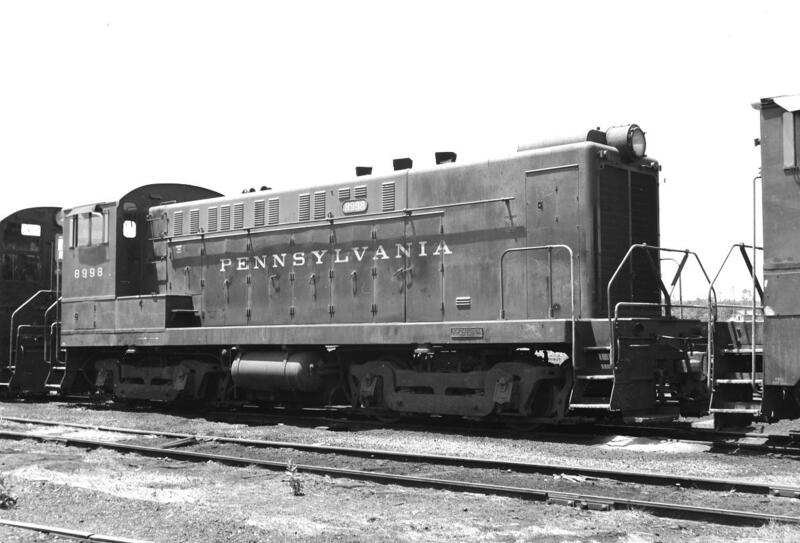 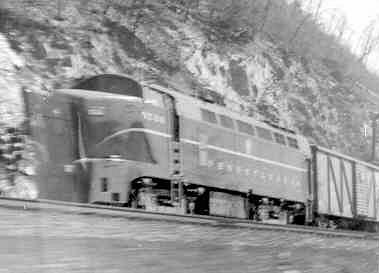 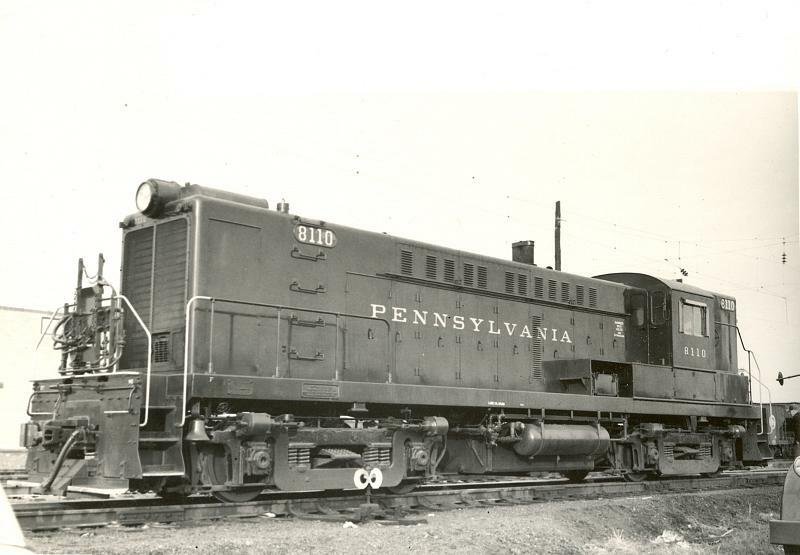 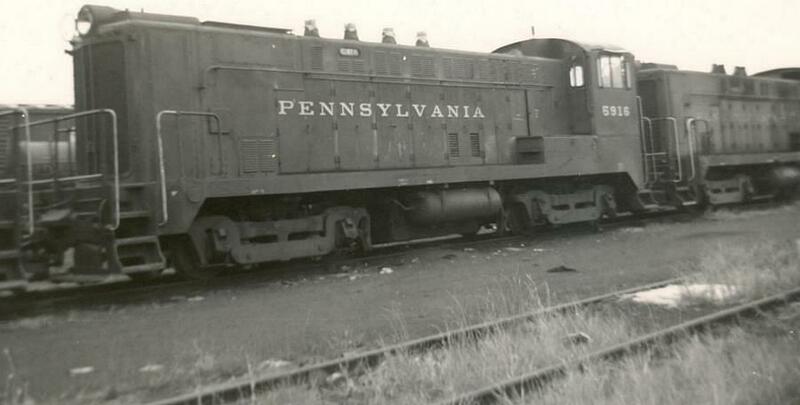 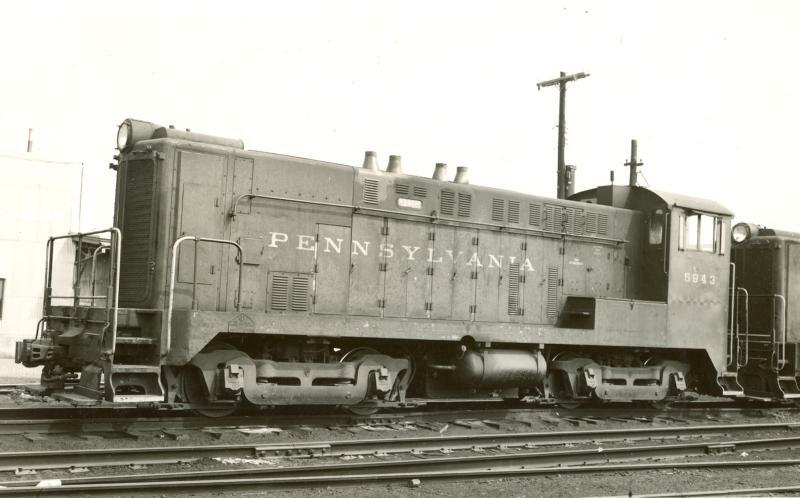 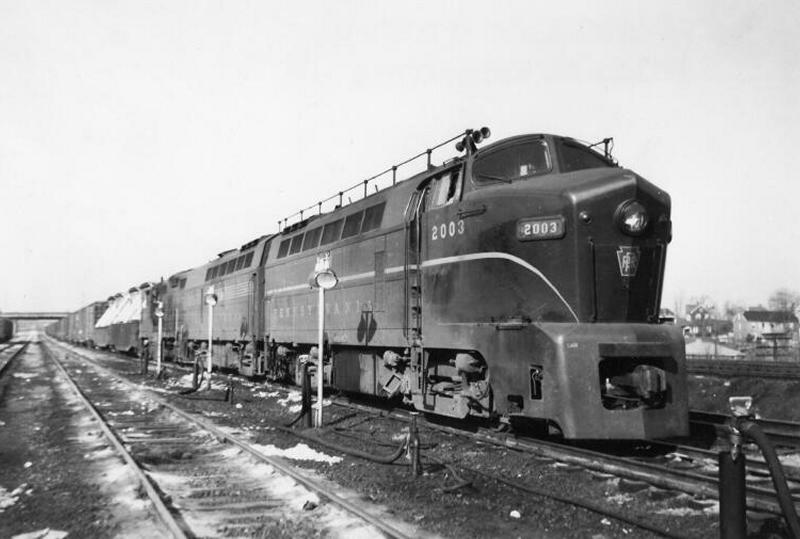 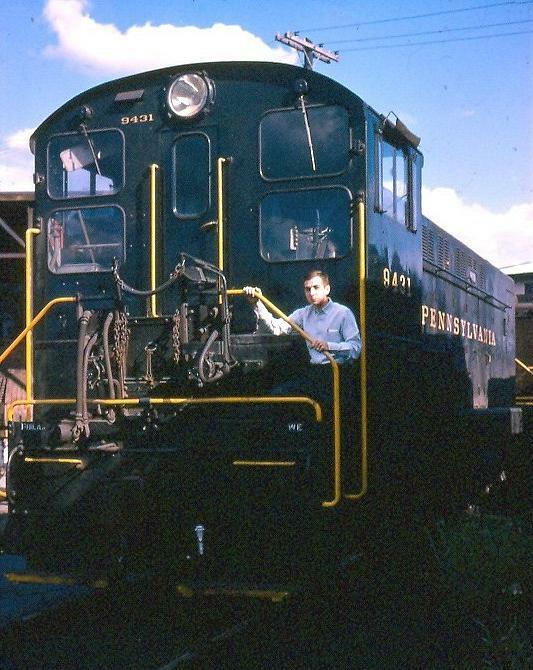 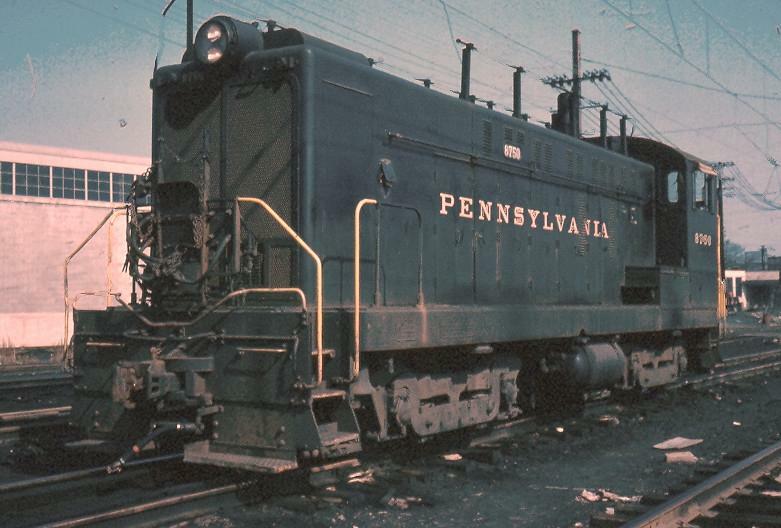 The PRR's initial order of 26 A-units and 26 B-units were delivered in 1949, and a follow-up order for eight A-B sets was placed in 1949 for 1950 delivery. 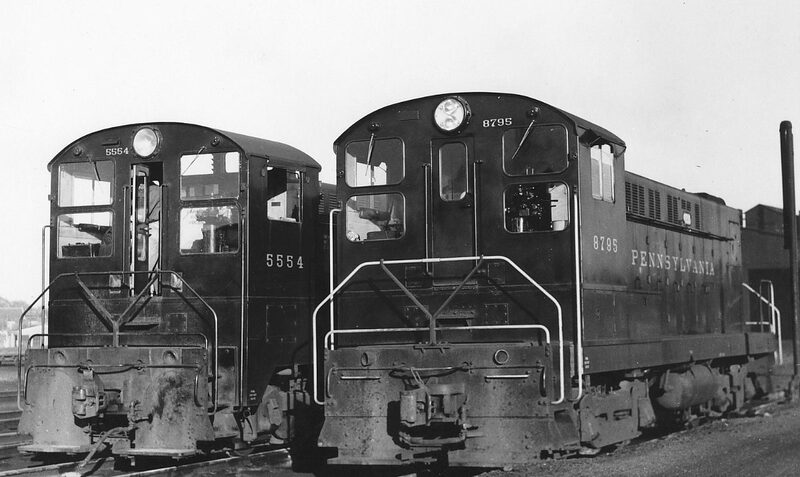 These last eight units introduced yet another refinement; the cab was moved one foot forward, with a corresponding reduction in the length of the nose. 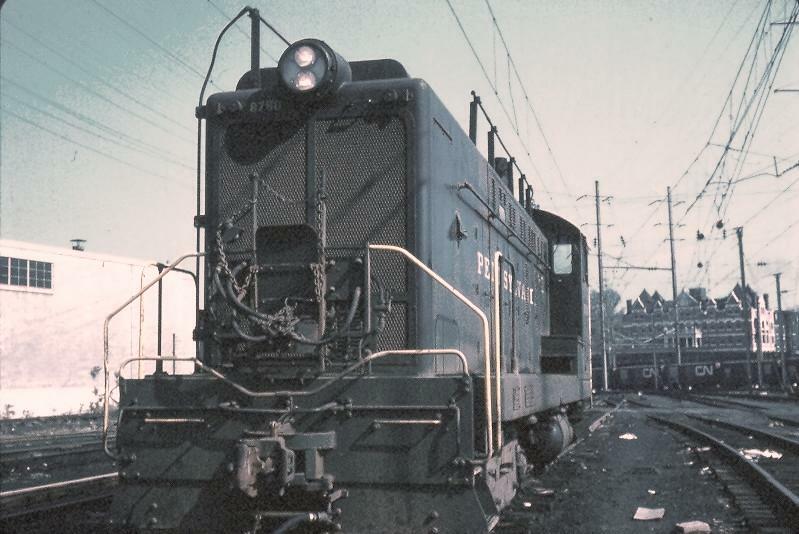 Number 9570 is seen here on its last mile, on the Pielet Brothers setout track across the IHB main from EMD's plant in La Grange." 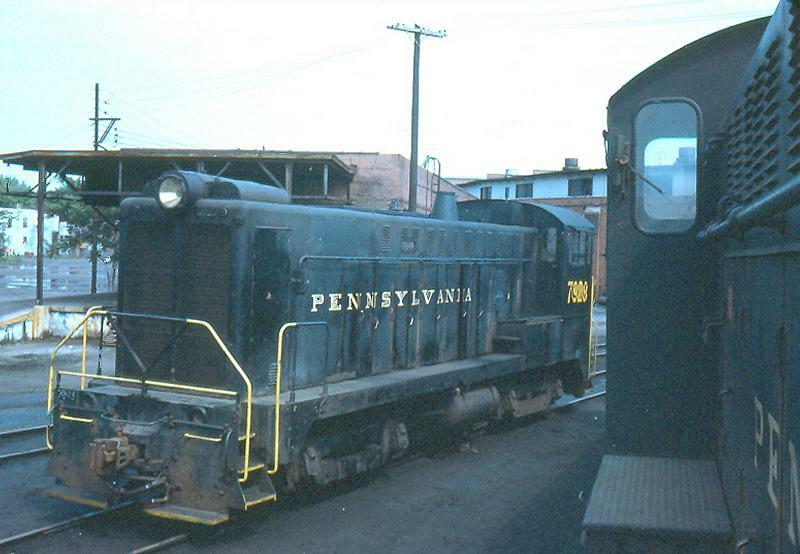 Ferry, Pa. is a location on the Susquehanna Division located about ten miles west of Harrisburg, PA.